There’s no arguing Google Keep is one of the most useful apps available. 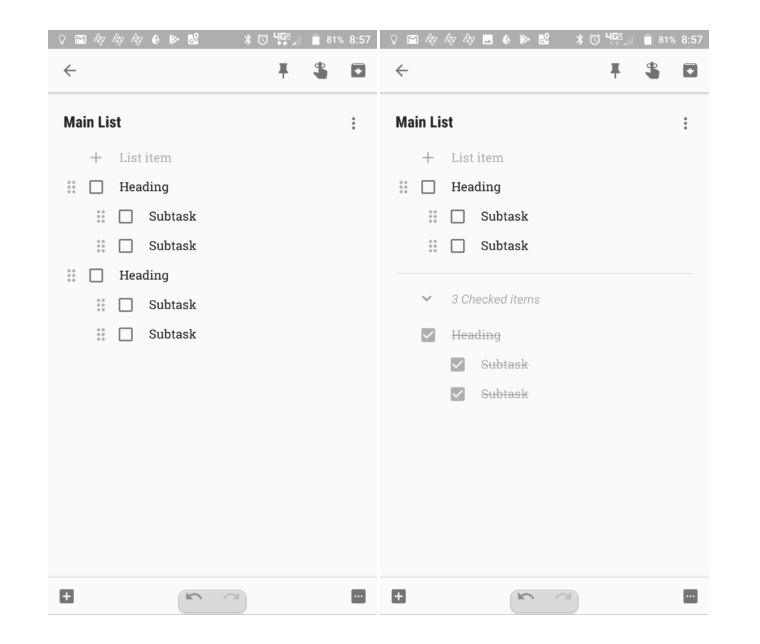 It’s a great way to keep lists and to-do reminders in one place and share them with others. But, it does certainly have its limitations. Back in November 2017, an “Explore” option was spotted in an APK teardown. Prior to that, Google Keep got an Undo/Redo tool in July of the same year. Now, Google appears like it’s adding a new feature to make those lists a bit more useful. In version 4.1.211, there’s now an overlay hint which pops-up, alerting users they can swipe right to indent a list item and then swipe left to bring it back. Moreover, sub-items can easily be marked as completed and moved around. Currently, it’s limited to just one sub-level, meaning users can’t create expansively structured lists. But, that should really be enough for its purposes. It’s a simple but important addition which provides a whole lot of functionality.